Just a program sent to your inbox? Or do you need support, encouragement, and education? Do you want to feel EMPOWERED to improve your health and well-being? I think the biggest thing Tammy gives me isn’t an eating plan or a lifting plan or even a well-timed kick in the pants when I need it. It’s hope. Hope that it’s not too late for me. Hope that, even if I’m starting at zero, I’ll get results if I work hard. And for the very first time in my life, I believe it. Hi! I’m Tammy White. After years of work stress as a high school teacher, plus several failed weight loss attempts, I was at my heaviest weight and unhealthy at age 47. When the doctors said “change or die early”, I listened. 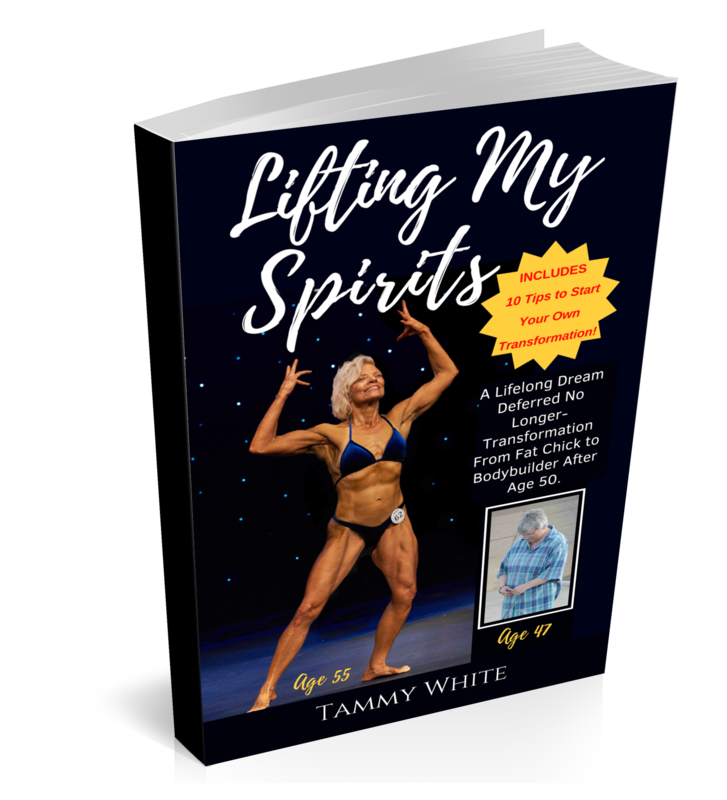 Along the way, I decided to chase a dream and competed as a bodybuilder at age 50. I’m still competing. Earned my NASM Personal Training and Fitness Nutrition Certifications while still teaching. Now that I’m a retired teacher, I’m using what I’ve learned to help people make healthy and sustainable changes in their lives. Check out the reviews for this book!